In a speech at Bloomberg in New York, the Prime Minister will outline a vision for a low tax Britain to attract businesses from around the world. It comes as Mrs May delivered a warning to her Brexiteer MPs led by Jacob Rees-Mogg that she believes a “no deal” is better for Britain than the Canada plus trade deal they have proposed as an alternative to her Chequers plan. She also defiantly made it clear that she will plough on to deliver Brexit for Britain and not be persuaded to call a general election before leaving the EU. Speaking to 200 top business chief executives today in New York, Mrs May will pledge to make Brexit Britain “unequivocally pro-business” in a clear shot across the bows to EU leaders who tried to humiliate her last week over her bold vision for a future trade deal. The underlying message at the Bloomberg headquarters is that Britain will be ready to compete with the highly regulated and highly taxed EU. She will say: “Through our modern industrial strategy at home we will create one of the most dynamic and business friendly economies in the world – driving investment opportunities for your businesses and spreading the benefits of new sectors and technologies to every part of my country. Outlining her vision for Global Britain she will appear to confirm plans to cut tax including corporation tax. She will say: “Looking beyond the EU, we are absolutely committed to delivering continuity in terms of relationships with existing bi-lateral partners – and we want to forge the most dynamic and ambitious free trade agreements with old friends and new allies alike. She will add: “Whatever your business, investing in a post-Brexit Britain will give you the lowest Corporation Tax in the G20. Her message is a clear slap down to business organisations like the CBI which have been trying to whip up scare stories about a no deal Brexit. But in a message to her backbenchers who are pushing for a free trade deal with the EU similar to the one signed by Canada, Mrs May made it clear that she believes a no deal would be better for the UK because their vision would end up with Northern Ireland being broken away. Under its current demands the EU will not accept a Canada plus trade deal which covers Northern Ireland because of complexities with the land border with Ireland. Asked on the flight to New York by the Daily Express which scenario is better between no deal and Canada plus she said: “I have always said no deal is better than a bad deal. Mrs May side stepped questions on whether she would resign if her deal with the EU is rejected by Parliament. However, she defiantly scotched rumours that she is planning a snap election and promised that there will not be one until after Britain leaves the EU at the end of March. She told journalists: “What I am doing is working to deliver a good deal with the EU in the national interest. The Prime Minister is in New York to hold talks about chemical weapons and the Salisbury attack by the Russians. She is due to address the UN General Assembly and will meet up with fellow world leaders. Crucially, she will also have a face-to-face meeting with US President Donald trump to discuss a future trade deal between Britain and the US. Mrs May insisted that if her Chequers plan gets through it will still allow Britain to have a good trade deal with the US and other countries even if it shares a common rule book on regulations of goods with the EU. 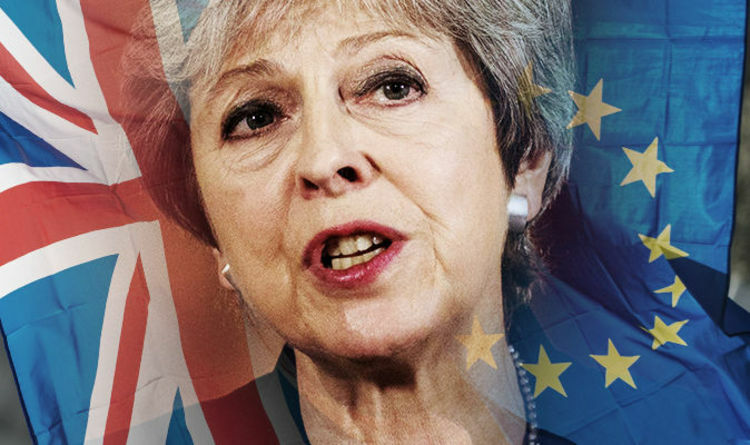 She said: “We will be signing up to EU standards on industrial goods and agricultural products but these are standards that we as the UK do not want to diminish.